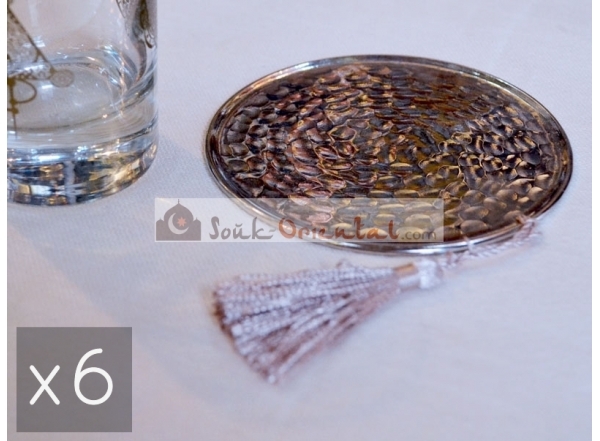 Set of 6 round coasters in white copper hammered nickel-plated Tunisian with pretty tassels in wire (random color). 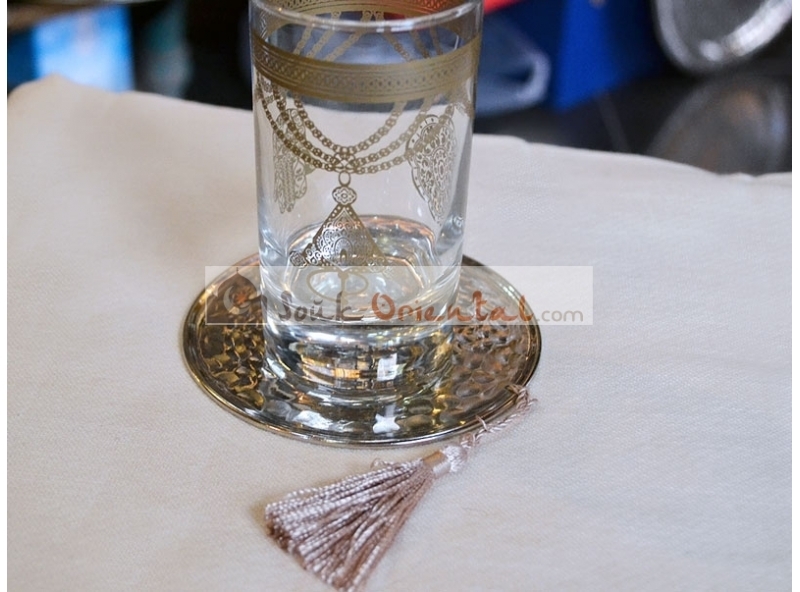 You will have class and chic by serving your guests! Sold without cup. Under a 10 cm diameter cup.